In this tutorial we will provide you with detailed instructions on how to install and activate themes in your WordPress site. 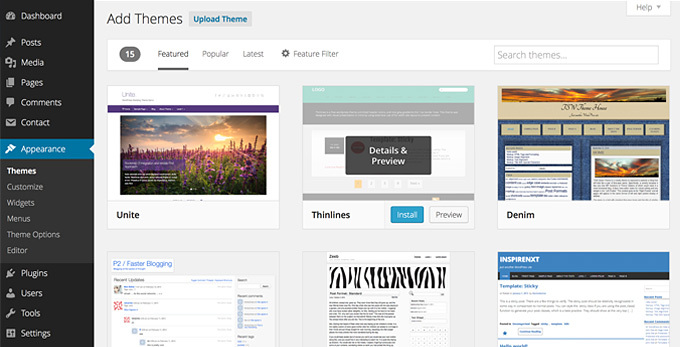 Check out our WordPress themes Portfolio for many free designs that you can choose from! Here, you will see all the themes you have currently installed in your application. To add another one, simply click on the Install Themes tab. On this page there are two ways to add a new theme. You can either use the search field which will return results from the WordPress.org theme directory or you can upload a theme from your local hard drive. In this tutorial we will show you how to add themes in both ways. However, usually that's not the case. This is why, you can use the Feature Filter. 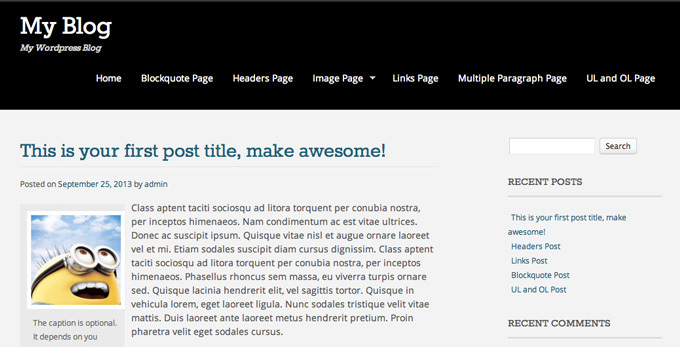 For example, you can search for a Black and White, Two columns theme that has Flexible Width. Simply check those tags and press the Apply Filters button. Your WordPress application will download and install the theme for you. Simply click the Acticate link on the next page you will be redirected to. That's all - you can go to the front page of your site to see its new looks.